David Yaffe was born in Dallas, Texas, in 1973. He is a professor of humanities at Syracuse University and a 2012 winner of the Roger Shattuck Prize for Criticism. 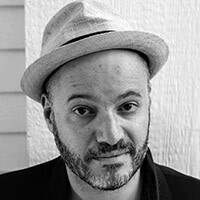 His writing has appeared in many publications, including The Nation, Harper’s Magazine, The New York Times, Slate, New York, The Village Voice, The Daily Beast, and Bookforum. He is the author of Bob Dylan: Like a Complete Unknown and Fascinating Rhythm.